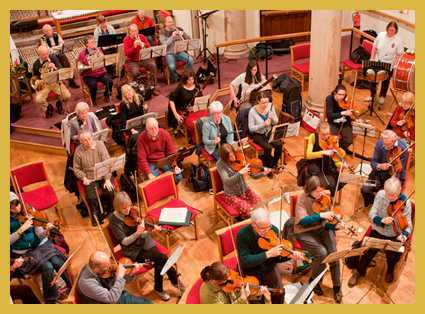 Orchestra rehearsals for the 2018 - 2019 season commence on Tuesday, 4th September 2018. Rehearsals take place each Tuesday evening between 7.40 - 9.45 pm at St Peter's Church, Windmill Street, Macclesfield SK11 7HS (map below left). For a full rehearsal schedule, click here.